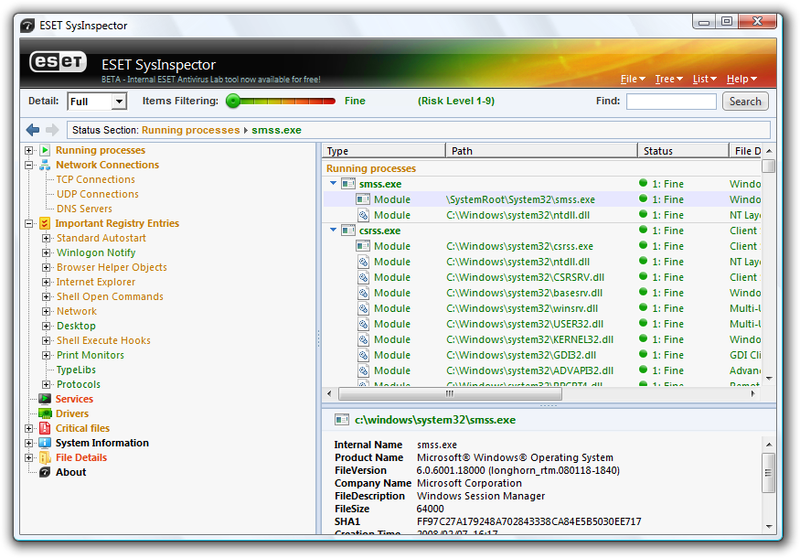 ESET SysInspector is a free diagnostic tool for Windows which takes a snapshot of your core Windows system components and then applies some analysis and heuristics on the data gathered, assigns a risk level of each object in every component and then presents you with the results. It’s good both for security and general system analysis. I use it plenty and i admit it is a very useful tool to have.